The US’ decision to beef up its military presence in southern Spain indicates that a new strategy towards Africa is well underway. 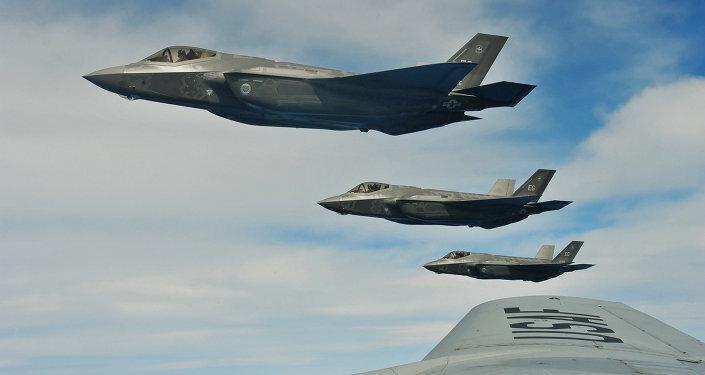 Washington just clinched a deal with Madrid that will see it boosting its military footprint in the south of the country. According to the agreement, up to 2,200 Marines and possibly 40 military aircraft will be deployed within striking distance of all of West Africa, and this massive amount of firepower proves that the US is preparing its forces for engagement all across the continent in the years to come. Its deployment along the African periphery in Spain complements the existing presence it has in Italy and Djibouti, to say nothing of its mobile naval capabilities, and this arrangement may actually be the most ‘efficient' of AFRICOM's speculated formations. In the short term, it's predicted that the US' latest moves are in anticipation of an inevitable leadership transition that may soon take place in Algeria, while the constant, long-term interest is in controlling the transit of significant non-Russian gas supplies to the EU. Spain's collaboration is motivated by financial and political interests, but Madrid's short-sighted thinking may inadvertently destabilize the domestic situation in the country and open it up to terrorist attacks. Spain's elite has learned a lot by observing their Polish peers, and they realized that they can reap specific benefits by being America's regional doormat. Inviting the US to use the country as a launching pad for neo-colonizing Africa is supposed to raise its prestige in the eyes of American decision makers, who could then lobby their European (specifically German) underlings to lessen the painful austerity measures they've forced upon Spain. If the US could command the EU to enact self-inflicting damage with their anti-Russian sanctions, then there's no question they could also order it to relieve their pressure on Madrid as a political reward to their proxy. Another benefit that Spain's leaders want to receive from the US is unwavering support against the Catalonian independence movement. Spain wants to scare the US into falling for a 21st-century ‘domino theory' in order to anchor its Atlantic ally's unconditional support for the government, arguing that the independence of Catalonia could lead to a chain reaction of similar movements in Spain's other regions that would eventually wipe the once-unified country off the map, and with it, America's new springboard to West Africa. It wouldn't be a surprise if it further embellishes the fear mongering by hinting that the ‘Catalonian contagion' could spread throughout the rest of the EU and endanger the US' other bases, too. There's a really bad dark side to Madrid's military agreement with the US, and it's that it could inspire terrorist attacks against the country. If a US drone or Marine team based in Spain carries out a high-profile assassination against a terrorist target in Mali, for example, the group he was associated with might carry out a revenge attack on Spanish soil. More than likely, this could see the participation of the Islamic State in some capacity or another, since it counts Spain as one of its anticipated areas of conquest, and hence, within its sphere of operations. The broad network of Western-based supporters that it has created over the past year (some of which may already reside in Spain) could be activated in launching the attack. On the political side of things, the US-Spain agreement might lead to more domestic support for anti-establishment parties such as Podemos, the ‘Spanish Syriza'. On-the-fence voters may opt for these movements out of dissatisfaction with the ruling government's foreign policy, since the US forward operating base arguably makes the country a prime terrorist target for retribution attacks. Podemos or likeminded parties may ultimately not reverse the previous government's decision if they do come to power, but what's important is that they politicize the issue in order to get there in the first place. The consequences of such an electoral shift would likely be felt more in inter-European politics than in US-Spanish relations anyway. 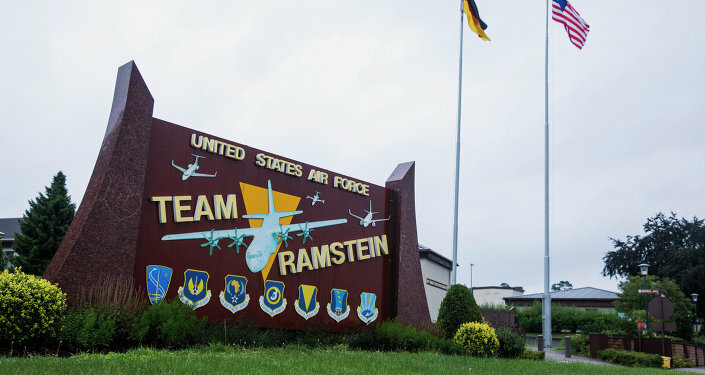 AFRICOM is technically only a command and control center for US military operations in Africa, and due to advances in communication and transport technology, it doesn't even have to be based in the continent itself (it's currently headquartered in Germany). Other than the Spanish facility, US bases in Italy and Djibouti are part of AFRICOM's formal forward operating positions, although numerous drone bases elsewhere in Africa also contribute to the cause. Importantly, mobile naval units such as aircraft carriers allow the US to project power anywhere along the continent's coast and deep into its hinterlands. Accordingly, the US is anticipated to use its Spanish base for West African missions; the Italian one for North African ones; and the Djiboutian location for East African operations. As for the southern cone of Africa, it could simply use its aircraft carriers or perhaps set up a base in the Comoros or one of Africa's other small island nations in the area. US forces are predicted to operate as the storm troopers of unipolarity in Africa, but for prolonged occupation, the French are expected to shoulder the burden, which they're already doing via their ground deployments in 10 African countries already (nearly a fifth of the continent's total). Aging President Abdelaziz Bouteflika suffered a stroke two years ago, and it's not known who will succeed him if he dies in office. Bouteflika's 15-year-long presidency has been a stabilizing factor in rebuilding Algeria since the decade-long Islamist-inspired civil war ended in 2002, and his death might make the country vulnerable to a Color Revolution, a jihadist uprising, and/or a destabilizing struggle between state security forces. The chaos in Libya showed signs of seeping through to Algeria in January 2013 during the In Amenas hostage crisis. Terrorists took over a gas processing facility and killed 39 foreign hostages before being defeated by decisive government action. Although no repeats of this tragedy occurred in its wake, it doesn't mean that the threat has subsided, and an escalation of terrorist violence in Libya might lead to more spillover in Algeria in the future. Most important for the US is Algeria's contribution to the EU's gas supply, being the third-largest supplier to the bloc after Russia and Norway. There's also discussion of creating a Trans-Saharan Pipeline from gas-rich and under-processed Nigeria through Niger and Algeria to Europe, which would make the North African state the geo-energy ‘Ukraine' of the Western EU. Because of this, the US must make sure that Algeria stays under Western influence and the pipeline routes are secured, hence the upcoming deployment of 2,200 Marines and 40 military aircraft within striking distance to ensure this.